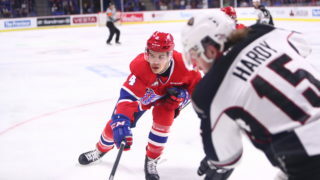 SPOKANE, Wash. – The Spokane Chiefs announced on October 6 that they have signed Czech defenseman Filip Kral to a WHL Standard Player Agreement. Kral was the Chiefs’ second round (78th overall) pick in the 2017 CHL Import Draft and is expected arrive in Spokane on Oct. 11. 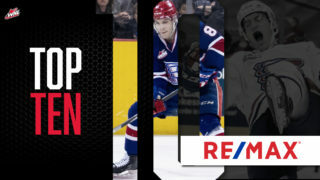 “We are extremely pleased to welcome Filip to Spokane and have him join our team,” said Chiefs’ General Manager Scott Carter. “He received strong reviews from several pro scouts, identifying him as a potential draft pick in 2018. Kral, who turns 18 on October 20, played 13 games last season with HC Kometa Brno in the Czech U20 league, scoring four goals and six assists. He then moved up to Kometa Brno men’s team in the professional Czech Extraliga, recording two assists in 23 games, and appeared in five playoff games as Kometa Brno won the league championship for the first time. As a 16-year-old with Kometa’s under-18 team during the 2015-16 season, Kral racked up 40 points (11 goals and 29 assists) in 40 games. This year, Kral played four games with Kometa Brno in the Extraliga and three with SK Horacka Slavia Trebic, Kometa Brno’s affiliate in the Czech WSM Liga. 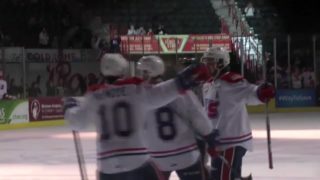 The 6-foot, 174-pound rearguard from Blansko, Czech Republic competed for the Czechs at the 2016 U-18 Ivan Hlinka Memorial Tournament, scoring a goal and adding an assist in five games on the way to a gold medal. With a late October birthday, Kral first becomes eligible for the NHL Entry Draft in 2018. 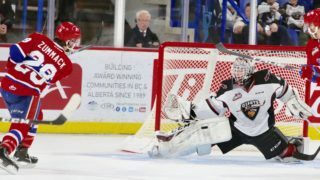 He was listed in the recently announced NHL Central Scouting players to watch list with a “C” grade, indicating a potential 4th-6th round choice in the 2018 NHL Entry Draft. He will wear number 18 with the Chiefs. 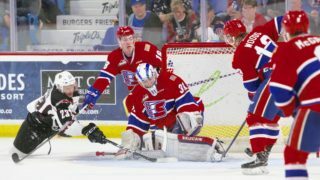 The Chiefs host the Portland Winterhawks on Friday, October 6 on Numerica Magnet Schedule Giveaway Night at Spokane Arena. The first 5,000 fans through the gates will receive a refrigerator magnet schedule for the 2017-18 season. 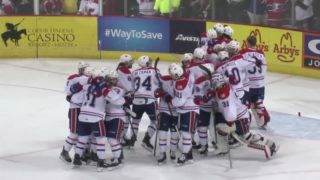 Ticket for Friday night and all Chiefs home games are available at the Chiefs’ Ticket Office, over the phone at 509-535-PUCK and online at spokanechiefs.com.